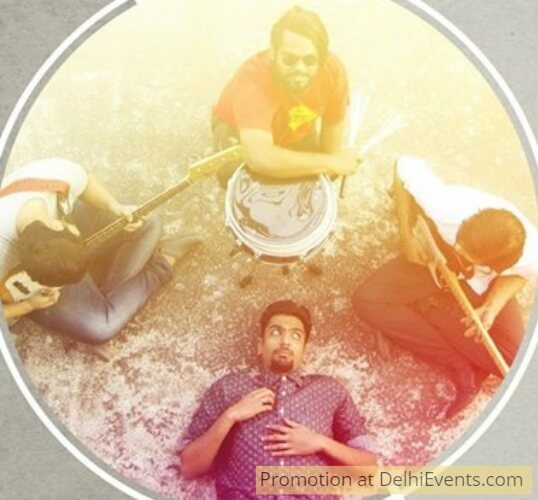 * // Felt Tip Pencils // * is a Rock 'n' Roll Band from Kolkata. They are going to be a part of their debut All-India tour "CIRCUS ON WHEELS" this January, after starting out in Bangalore and on to Pune, Goa, Mumbai, they have finally arrived in Delhi to play at The Pianoman Jazz Club before they return to their hometown, Kolkata.. This talented band will perform an original set including a few popular covers. Rock and Roll holds a singular power to this day. FELT TIP PENCILS believe in this power to make people forget about their worries and groove to the rhythm and blues. A four-piece indie Rock 'n' Roll band, Felt Tip Pencils formed in June 2015 and rose to popularity among the school and college crowd of Kolkata almost immediately - they released their EP "What The Fish!" in December 2016. Numbers like "I Couldn't Afford a Volkswagen, Thus Auto! ", "Running Back To You" and "Nightowl Waltz" became instant fan favourites. Their EP launch gig at Someplace Else, The Park, Kolkata was a massive success. Back to back shows in different pubs and clubs of Calcutta have kept the bands calendar full.